Last week, a bipartisan group of senators, led by Sen Susan Collins (R-ME) introduced what will be a most important legislative priority for HCA of MA this year. Senate bill (S.433) will curtail the so-called $1 billion “behavioral adjustment” cut under the Patient Driven Groupings Model (PDGM) to which all of home health is transitioning in 2020. Among, many other changes, PDGM will move home health from a 60 to a 30 day payment unit. This is the most significant change to home health payment since the Prospective Payment System was introduced in 2000. The Congressional action that called for a home health payment overhaul required that the new payment model be budget neutral against current spending levels. However, the legislation also allowed that CMS to consider “behavioral adjustments” defined as industry actions that would be taken to increase payment under the new model, unrelated to patient case mix changes. CMS has used this authority very broadly to institute a payment adjustment in the first year of PDGM based on “assumptions” of behavioral changes, and that adjustment calls for a 6.42% base rate reduction, or a possible $1b reduction in payments. S 433 would prohibit CMS from making any pre-rate change reductions based on assumptions and instead to phase in any adjustments (either up or down) based on observed evidence (i.e., data supported) changes in provider behavior. The objective would be to achieve budget neutrality by 2029. This later piece addresses concerns the Congressional Budget Office (CBO) expressed regarding whether a similar bill introduced last session was truly budget neutral. S.433 also would allow Medicare advantage plans and Center for Medicare and Medicaid Innovations (CMMI) to waive the “confined to home” provision when in the best interest of a Medicare beneficiary. Regardless of the “behavioral adjustments,” the PDGM model is expected to have a tremendously varied impact state by state and agency by agency. A significant amount of this impact is related to a Congressional requirement that the payment model no longer use the volume of therapy as a payment level determinant. (Something MEDPAC has been calling on CMS to do for years.) The state of Florida, where therapy visits average 10.45 per episode of care is set to “lose” the most – projected at $141 million. California on the other hand, where the average therapy utilization per episode was 5.76, will be the largest gainer. MA (need numbers from Tim) Note: S 433 does not seek to make changes to the structure of the payment model that produces these changes. It is important to reflect on CMS’ proposal in 2017, Home Health Groupings Model (HHGM) and how we arrived to where we are today. At the time, HHGM represented similar changes to the payment model, without soliciting industry feedback and some estimates predicting a 15% reduction in payments. As a result, the industry unified itself behind one message: that CMS withdraw its proposal and engage stakeholders to come up with an alternative. Upwards of 13,000 emails were sent to Congress from the industry, 49 members of the U.S. Senate and almost 160 members of the U.S. House of Representatives signed onto letters to CMS echoing the request to withdraw HHGM. This was a remarkable show of mobilization by the industry and we’ll need it again to make modifications to PDGM. At present there is no bill in the House, but it is expected that one will be forthcoming. Strong early sign on support is critical to keeping this bill moving and HCA of MA will be urging members to contact the MA delegation to support S.433 and the companion house legislation to be introduced. Stay tuned for these advocacy alerts in our weekly newsletter and advocacy messages in the coming weeks. HCA will also be hosting a number of member events to prepare for the payment transition. While the full day PDGM programs in March in Northampton are sold out, there will be a high concentration of sessions on PDGM at the New England Home Care Conference and Trade Show in on June 5 -7 inn Falmouth. Watch here for more details. In the meantime, send a message here to Senators Warren and Markey about the need for their support on this issue. Let’s do this home care – we cannot sustain $1 billion in cuts based on assumptions, not facts! Do you ever wonder if your phone calls into legislator’s offices’ ever do anything? I certainly do. The feeling that you care so deeply about an issue and fight so hard for it, but that the effort isn’t reciprocated by our elected officials. Or how about when you hear legislators say, “I’m waiting to hear from constituents on this issue.”… Are they really? Do they actually want to hear from us? When advocates ask me this, I’m always one to say ‘yes, they do want to hear from you.’ But I also understand how people feel when they see common sense solutions seemingly receive no consideration. Before I go on, I need to disclose that we have to keep fighting for this particular issue. The legislature could reject the Governor’s proposal. But the advocacy behind the recently proposed Home Care Worker Registry should answer all of these questions above and serve as a model. 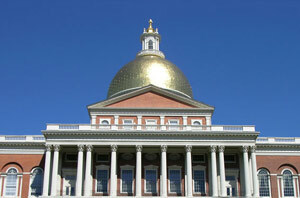 As you’ve heard numerous times from the Alliance, the Massachusetts Legislature has proposed and included in its final version of the FY18 budget a Home Care Worker Registry. This registry would require agencies to submit its worker’s private information like gender and home address to the Department of Elder Affairs. We have raised numerous legal and privacy implications for this legislation and have fought throughout the budget process to defeat and modify the language. Last week, we sent out two advocacy action alerts asking you all to send emails into Governor Baker’s office requesting him to amend this registry language and insert an opt-in option for home care workers to chose whether they want this private information disclosed to agencies, ASAP contractors or employer organizations. This is a clear accomplishment that proves these emails and phone calls do matter. That working with coalition partners in sync can make a difference. But remember, we have work to do on this issue, so please keep an eye out for another advocacy alert that will urge the legislature to adopt the Governor’s suggestions and protect our workers!! With six home care-related bills working their way through the State House and budget meetings in progress, now is an ideal time to get to know your legislators and speak with them about the importance of home health in their districts. State representative and senators (find them here) rely on informed constituents to help them understand the legislation before them. Don’t assume that they know what home health care is or why it’s important. Be prepared to educate your legislators or their health care staff. It is well worth your time. Your congressmen and senators, also have district offices near you, whose staff you can speak with. Make it a point to reach out to them when they are in their home district offices. An Act Relative to Home Health and Hospice Aides (S.1064) sponsored by Senator Richard T. Moore. Be sure to contact both your personal representatives – i.e., those who represent the district you live in – and those who represent the district where your business is located. Invite legislators – both state and federal – to come with you on a home visit. Seeing how home care works is more powerful than hearing description over the phone, and also gives them a chance to meet with constituents and get a good photo op. If you would like assistance in setting up a visit, contact the Alliance’s James Fuccione. Your board members and employees can also be powerful advocates for home care. Inform them about the issues and have them make phone calls to their representatives as well. VNAA Public Policy Leadership Conference is on September 18-19, 2013 in Washington. If you have any questions about contacting your legislators, contact James Fuccione, the Alliance’s Director of Legislative and Public Affairs. Good luck and see you at the State House and in Washington!